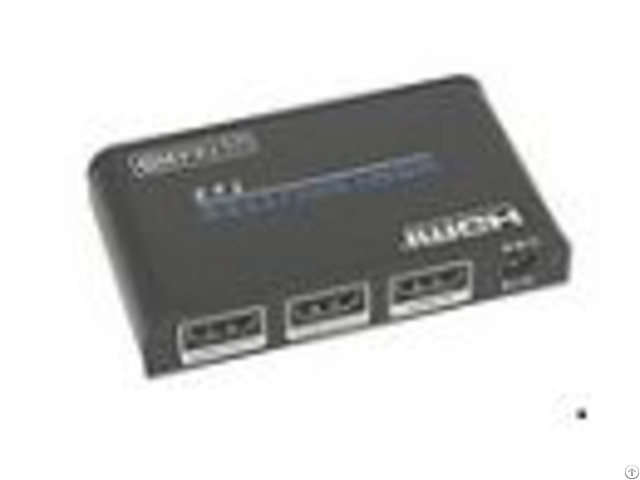 This 1 by 2 HDMI UHD Splitter with HDCP 2.2 is an advanced solution for splitting a single HDMI input to two HDMI outputs. It provides high performance audio and video output through HDMI cables up to 4K2K@60Hz (YUV420) resolution and is capable of receiving and transmitting up to 9Gbps of bandwidth with no data loss. Supporting the latest features you can be assured of reliable and high quality HDMI distribution.